Cosmoscope asks audiences to consider the very, very small scale and imagine the very, very large scale, contemplating their own place in the universe and encouraging people to question how we perceive the world around us. 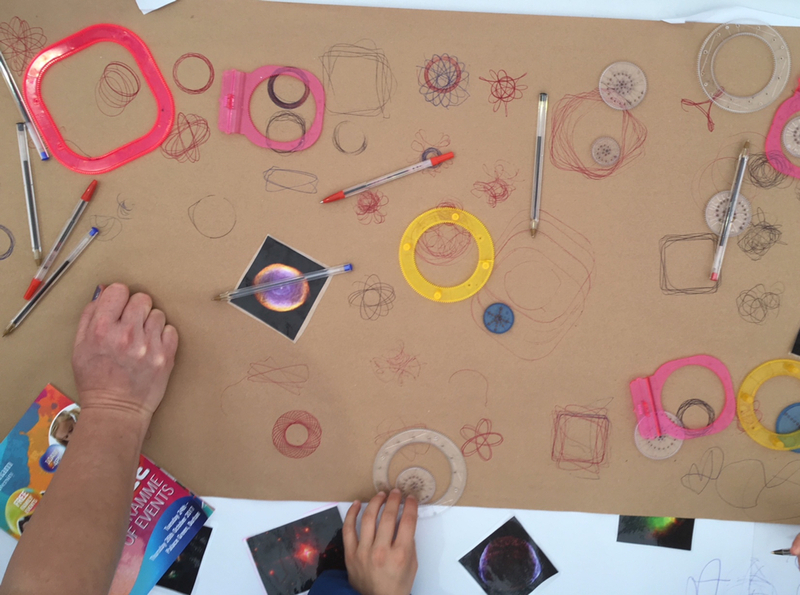 Fourteen primary schools are investigating these questions, producing artwork inspired by the themes of Cosmoscope that will be exhibited as part of Lumiere. These resources have been developed by Durham University Science Outreach and are delivered in partnership with OASES. 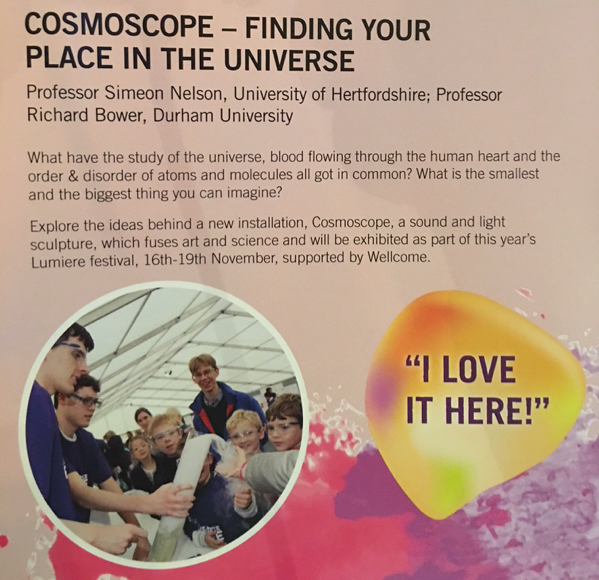 The project will be highlighted at Celebrate Science, Durham University’s free family science festival running during October half-term (Tuesday 24th to Thursday 26th October, 10am-4pm, Palace Green, Durham) where the team will deliver hands-on activities. 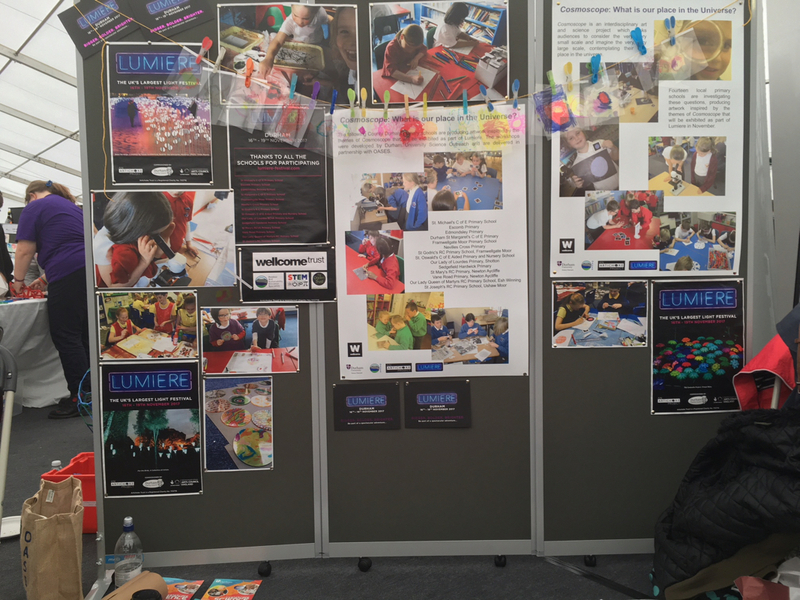 The resulting pieces produced by the school pupils will then be displayed as part of Lumiere.